At Custom Flavors, we’re experts in flavor creation. Custom Flavors is a family-owned and operated flavor developer and manufacturer located in the small surf town of San Clemente, CA. Our team boasts over 10 decades of combined flavor and food industry experience. We partner with individuals and businesses of all sizes to provide exceptional flavors. Work with us and experience committed customer service and a relationship that lasts beyond the product life cycle. In 2005, our company opened its doors as Custom Ingredients, Inc under the leadership of Founder and President Mike Wendling and Steve Bishop, Co-Founder and Vice President. They brought together their passion and business acumen to deliver the highest quality in flavor production. By natural extension, a high level of customer service, innovative product development, cutting edge technology and a strong, responsive team round out the core values that the company has become known for over the years. This mission and vision continue as the next generation of leadership takes over at Custom Flavors. Alex Wendling recently stepped in as President while his father, Mike, has moved to a more consultative role with the company. Daily operations continue to grow and the basics of creating the best flavors, problem solving, process improvement and navigating the ever-changing regulatory landscape apply now more than ever. At Custom Flavors, our portfolio includes more than 20,000 flavors and flavor combinations, we recently invested in new equipment such as a state-of-the-art GC/MS, made facility improvements to increase productivity and efficiency and have a team that’s more like family with a top-notch knowledge base. From where we sit, the future looks very bright. Above all else, we aim to serve our customers, our employees and their families, our community and the environment. We personally commit to our customers because it is their success that allows us to grow. Our employees are our backbone and we offer industry-leading pay and benefits. We consider it an extreme compliment to watch our team grow to include our employees’ friends and family members. The community of San Clemente and the food industry as a whole have given so much to us. To give back, we support multiple charities in our area and are sponsors of our local schools and future food scientists. In recognizing the impact of business on the environment, we operate an energy efficient building with solar power and maintain stringent air quality and waste management programs. Custom Flavors is built on personal relationships and this has been the cornerstone of our success. It’s how we interact with our customers, our suppliers and vendors and our own family of employees. There’s a team spirit here. We celebrate our wins together, encourage communication and collaboration, foster innovation and join together to achieve our collective mission. Our expert in-house team creates mouthwatering flavors that meet the highest-quality standards our customers and their consumers demand. This expertise operates hand in hand with our administrative team to deliver first class customer service. 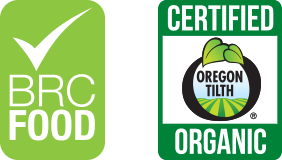 We pride ourselves in consistently meeting the most stringent certifications and specifications such as Certified Organic, Kosher, Global Food Safety Initiative (GFSI), Natural, Organic Compliant, and Non-GMO. We also have the production controls in place to offer flavors that are allergen-free, gluten free and cover other dietary restrictions. For more information about certifications and special designations or to download relevant documentation, please visit our Certifications page. At Custom Flavors, our passion, commitment and experience come through in every flavor we develop. Let us show you how art and science create the quality that sets your product apart. We use the best ingredients and insure that each made-to-order flavor is uniquely formulated. The flavors we create either enhance the taste of foods and beverages or mask unwanted off-notes in products. Our flavor chemists and food scientists craft extraordinary flavors for supplements, food and beverage manufacturers. Our client list includes popular and well-known brands in nutraceutical and dietary supplements, sports drinks, baked goods, beverages, dairy products, confectionery items and more. Every day customers come to us with flavor ideas. Our team has the skill and flexibility to create customized flavors exactly the way that you want them. To date, our portfolio includes more than 20,000 distinct flavors. At Custom Flavors, we bring passion and creativity to meet our customer’s high expectations and make extraordinary, unique flavors. After decades in the business, we’re also happy to share our experience in product development. We work with customers who have well-established brands and products as well as startups with little more than a flavor concept and an idea. It can take persistence to get the flavor just right and bring the product to market. Our exceptional flavors, client-focused customer service and industry expertise offer our clients a value-added partner in the flavor industry and provide long-term competitive advantages. Our team has developed efficient systems that assist in getting your product approved, certified and to market. We maintain a database of over 50,000 regulatory documents for your convenience. By providing prompt and accurate information, we help your project move along more smoothly. Our flavorists have analytical resources available to match any flavor with our state-of-the-art GC/MS equipment. Accurate, timely flavor matching allows you to improve your current lead times, cost, service and delivery. We can convert current products to new formats, such as Natural, Non-GMO or Organic. All of this improves your product and the bottom line. Contact us to learn more about how we develop flavors and do business. We’d love to hear from you! I cannot compliment this company enough!! From their vast flavor library, innovative technical team, 5 Star customer service, responsiveness, flexibility, quality of product and short lead times they are a supplier that would be any customers dream! My company has partnered with them for well over 20 years and they have only gotten better. A modest sized company that is a giant in the industry!! Whatever your application, you will be exceedingly happy with their product, service and pricing! Custom Flavors in my honest and humble opinion is the gold standard of what a supplier should be to clients. My initial conversation was incredibly uncommon due to the fact that their salesman thoroughly researched our company and our mission statement and already knew what carriers they would need to be on to meet our labeling requirements. Samples arrived in a matter of days instead of weeks, pricing and regulatory documents were provided within 1-2 days depending on the request. Communication to our R & D and Supply Chain departments are constant and thorough. No question or order inquiry is ever left unanswered and we truly feel Custom Flavors understands how important under promising and overdelivering is in a business relationship. I cannot say enough about their flavor development team and their ability to rise to any challenge. From complex flavor requests to vanilla alternatives in case supply of vanilla becomes scarce, their innovation is second to none. Our relationship with Custom Flavors has evolved into a partnership in a matter of months. Greetings are more familial, handshakes are now hugs and there’s a deep appreciation for the mutual contributions we make to the other’s business. I will end with this… you will be hard pressed to find a more passionate and responsive flavor house than Custom Flavors. I can’t recommend them enough as a partner to grow your business. Custom Flavors adheres to strict quality assurance and quality control measures to ensure our flavors consistently meet industry and customer demands. We start by sourcing key ingredients and raw materials that meet our rigorous standards, then produce and package our finished flavors with a quality-first mentality. We run our business on a specially designed Total Quality System based on multiple levels of qualification and verification. In addition, we undergo 3rd-party audits to meet or exceed the latest in industry-recognized standards. Quality is embedded in our culture. Every employee understands they are part of the process. We invest in ongoing training and re-qualifying for quality compliance practices in our work. Our trained QC staff conducts product-specific testing to ensure quality for every flavor we produce. This includes, but is not limited to: organoleptic testing (taste, visual, and odor testing) and specific gravity. For certain applications, flash-point analysis and Gas Chromatograph Mass Spectrometry (GC-MS) are utilized. Do you manufacture your own flavors? Yes, our flavors are developed and produced in our San Clemente, CA facility. What are your order lead times? 7 business days for liquid flavors and 14 business days for powdered flavors. Initial orders require additional lead time. 4 gallons for liquid flavors and 100 lbs. for powdered flavors, with exceptions for first orders and trial runs. Our wire transfer information is available on our Downloads page. Net 30 on approved credit. Advance payment is required until credit is established. Where can I find your credit application? Our credit application is available on our Downloads page. How do I request a flavor sample? What size sample is provided for a sample request? 2-4 ounces for liquid flavors and 150 grams for powdered flavors. Larger samples are available upon request. What are your pickup hours and address? What are your flavor and development capabilities? See our Explore Our Flavors page. You’ll find a complete list on our Flavor Applications page.